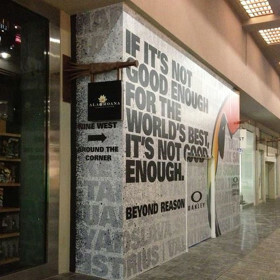 Design, print and installation of large format barricade graphics, ideal for retail stores under construction, construction barricades and shopping malls. Turn unsightly construction areas into amazing branded graphic display areas and feature walls. 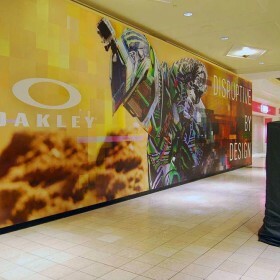 By installing high quality retail barricade graphics, any space can be transformed. Indoor or outdoor, they are an affordable way to increase your company’s brand exposure. They’ll turn any empty or bare space into a productive advertising space for your business. AGRetail work closely with clients at all stages of the project. 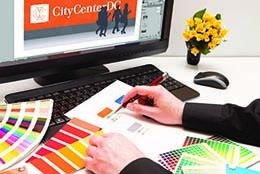 Creating show-stopping graphics that are on-brand and deliver your company’s message positively. 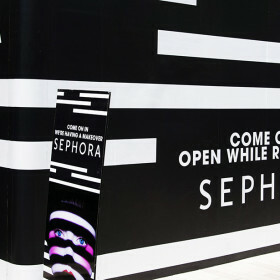 Your retail barricade graphics can be created and installed by AGRetail nationwide, all across North America; we can also clean and maintain the retail barricades while in situ, if needed. At the end of the campaign we can remove and store the barricade graphics. Or we can dispose of them at the end of the their life – in an environmentally safe way. 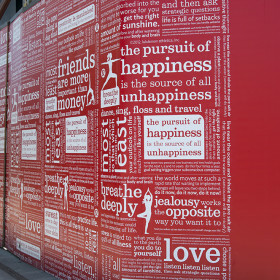 While retail barricade graphics are mostly temporary, they can form a large part of how your company is perceived by your audience. It’s important to get it right. AGRetail offer the highest quality print and precision install methods that will back up your brand with a lasting image. 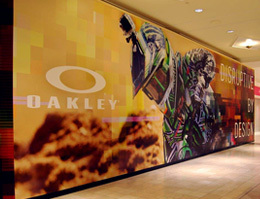 Retail barricade graphics come in a choice of design options to customize the look and feel of any wall, partition or construction screen. AGRetail print your barricade graphics in-house. Using the latest super-wide tech, all retail barricades are finished to the highest standards. The in-house production and project management teams handle your graphics, design and installs from concept to completion. Taking great care to communicate with each client so that every retail barricade graphic is printed right the first time. Having a custom Panel System means that installations are very quick – it’s the most versatile panel system in the industry, and allows for efficient installation and removal. Our on-site installation teams are made up of highly skilled and trusted craftsmen and engineers, and they ‘own’ their projects right to the end. 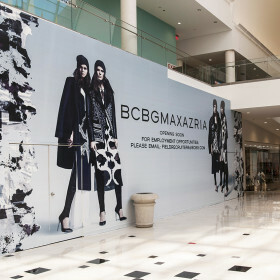 Retail Barricades: Let customers know in advance your opening a new store. 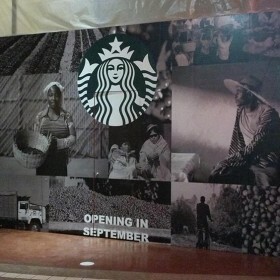 Shopping Mall Barricades: Cover plywood or windows with attractive vinyl graphics during renovations and fit outs. 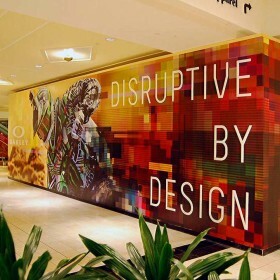 Why choose AGRetail for your next barricade graphics project? Express installations – 48 hours! 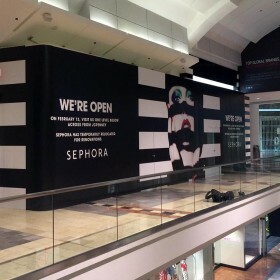 View a time-lapse video of a recent 2,000 sq ft retail barricade graphics installation for AllSaints’ Flag Ship Las Vegas Store by clicking here. Or check out our gallery of completed installations by clicking here. In addition to our Panel Systems, we offer Plywood, Drywall and window graphic retail barricades. AGRetail’s barricades come in a variety of design options to customize the look and feel of the wall. Our temporary retail barricades can be created and installed within 48 hours and allow for a flawless smooth finish. While our plastic and plywood retail barricades offer high resistance to weather and are extremely durable. 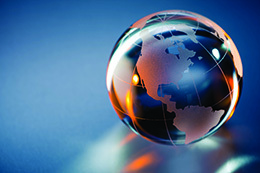 AGRetail’s creative team works closely with clients to create design with impact. Our focus in on one thing… implementing the brand or marketing message that our clients require with a level of professionalism and quality that is unsurpassed.